Quantify Technology Holdings Ltd (ASX:QFY) continues to see dividends from its established agreement with Harvey Norman Commercial Division (HNCD) regarding the promotion and distribution of its platform to commercial and residential development projects throughout NSW and the ACT. The agreement also involves the development of a demonstration facility at HNCD’s showroom in NSW. Recently, the company’s engineers were on-site in Sydney, fitting out HNCD’s demonstration suite at the prestigious Burcham development. As a backdrop, QFY is an Australian-based pioneer of Truly Intelligent Buildings technology. The company has created simple to install, affordable Internet of Things (IOT) devices that encourage wide-scale adoption of IOT solutions. QFY’s commercial product known as the Q Device replaces standard power outlets and light switches in commercial and residential structures. As it uses standard Alternating Current (AC) wiring, it can be easily retrofitted without re-cabling in existing buildings. The Q Device replaces AC light switches/dimmers and power outlets with an intelligent, network-connected framework to provide energy management and reporting, voice-enabled control and interaction, and real-time evaluation of environmental and risk factors for building occupants. Located in the much-sought-after Rosebery suburb, the apartment will showcase the residential application, scalability, and flexibility of QFY’s framework, as well its enterprise applications. Though installation was originally anticipated to commence in April 2018, HNCD only recently took possession of the apartment and the project is on schedule with final commissioning to be completed in the coming weeks. One of the most promising developments to note as QFY continues to evolve from research and development to product adoption and sales is the strong uptake of its devices. “Seeing a next-generation platform of this calibre installed in our Burcham display apartment has shown us what the gold standard of the future can and should be,” said HNCD Smart Home Automation Manager Kris Leffler. “Quantify Technology has developed the must-have solution for new and existing construction. Not only are QFY’s solutions an important sales tool for HNCD, with Harvey Norman’s brand power and an active sales force behind it, the company’s products should be efficiently distributed into the residential and commercial construction markets. 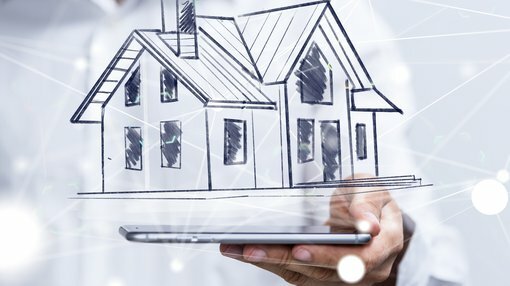 HNCD has made smart homes of the future a focus of their expanding reach in the residential and commercial construction sectors. Shares in QFY have performed strongly this week, increasing 20 per cent from last week’s close of 2.5 cents to hit an intraday high of 3 cents on Tuesday. Should the company continue with the frequent positive news flow regarding its entry into multiple sectors there is the possibility for this momentum to be sustained.